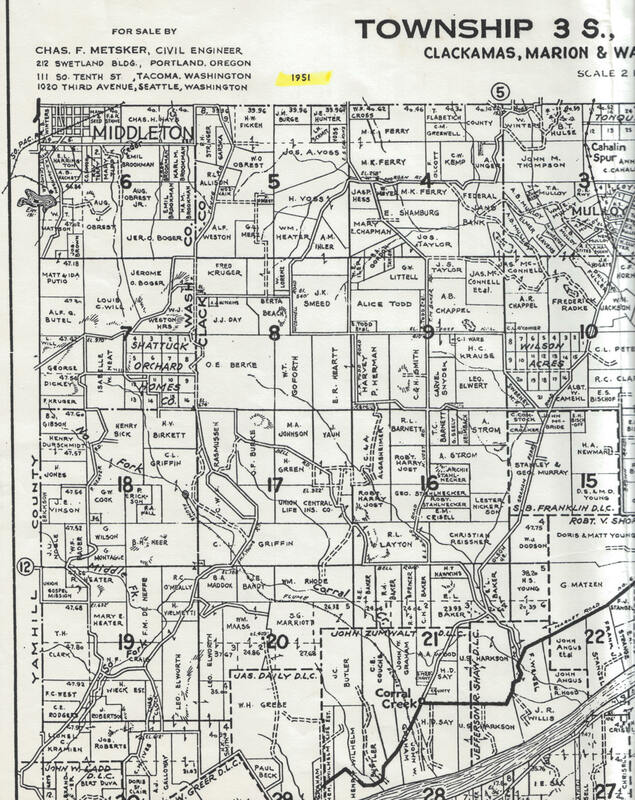 This 1951 map is of the Ladd Hill area west of Wilsonville. The cemetery is marked on this map as "CEM" with little dots around it in Section 9, south of the Harvey P. Herman property. This map overlaps slightly with the 1951 East Section and the 1951 South Section.